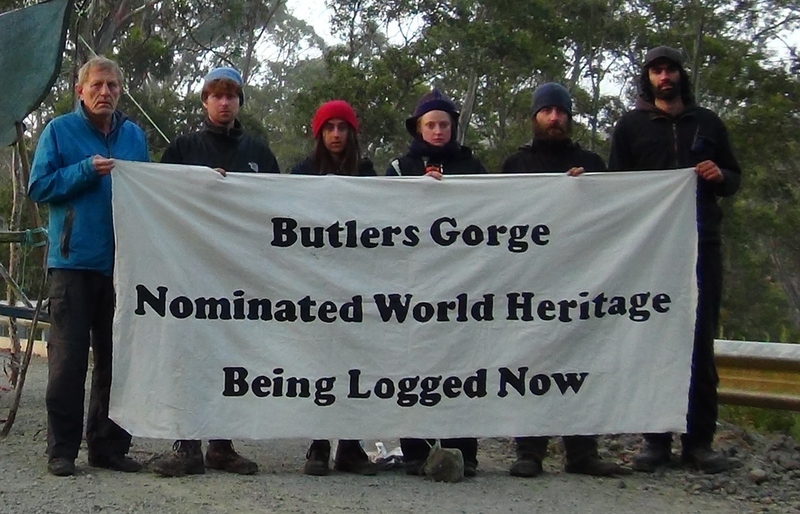 Media Release: Peaceful action to halt logging of World Heritage nominated forests. Over 40,000 protest emails have been sent within the first days of an online petition targeting the Australian Government in a call to end the logging of World Heritage nominated forests in Tasmania. 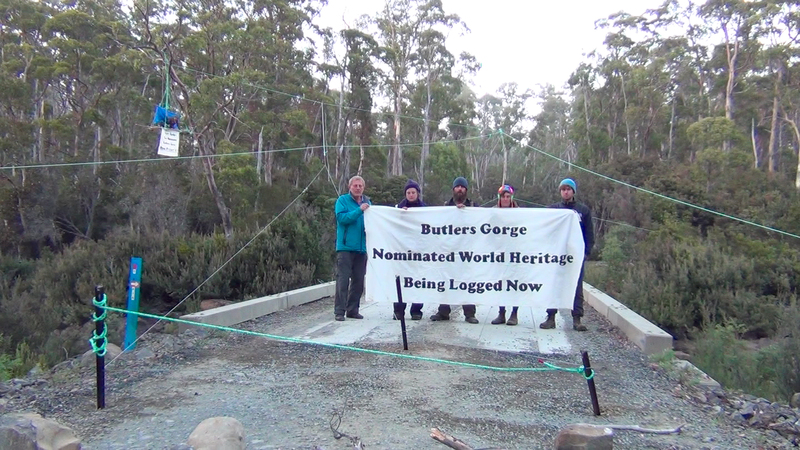 Today, conservationists from Still Wild Still Threatened are continuing to highlight the destruction of these forests by conducting a peaceful protest in Butlers Gorge. 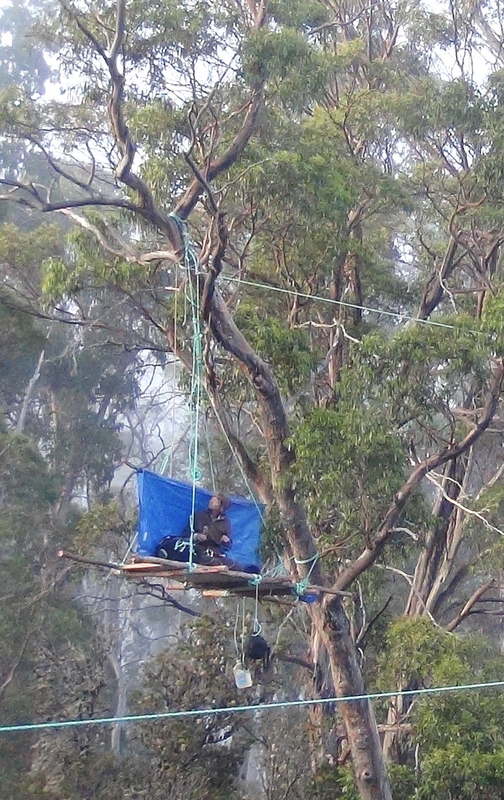 One protester has locked themselves to a gate and another person is perched in a tree sit, halting logging operations in the three logging coupes in the area. These coupes are situated in a forest that has been nominated only weeks ago by the Australian Government for a World Heritage listing. “Today’s peaceful action is taking place to halt the destruction that the Australian Government should have stopped themselves upon nominating these forests for World Heritage to the IUCN. The government’s nomination is recognition of the outstanding ecological values of these forests, despite this they are neglecting their responsibility to protect the area. These forests are not safe” said Miranda Gibson, spokesperson for Still Wild Still Threatened. ” There has been a global outcry resulting from the documentation of the ongoing logging. Since we released a report in conjunction with the Huon Valley Environment Center and Markets for Change last week, thousands of people have signed an online petition calling for an end to the destruction of these World Heritage nominated forests” said Ms Gibson. “The Federal Government has the responsibility, as commanded by Article 4 of the World Heritage Convention (1972) that Australia is a signatory to, to identify, protect, conserve, present and transmit to future generations these globally significant forests. It is blatant hypocrisy to nominate forests for World Heritage one week and log the same forests the next week.” said Ms Gibson. Well, here we go again, to the protesters on site, well done, unfortunately unless we always have some one onsite, they continue to do what they want! Thanks to all those at the Forest sites!